Zwolle is a municipality that has around 120,000 inhabitants. The town has a beautiful medieval centre, with lots of well preserved and archeologically interesting buildings. Although most of the city wall has now gone there are still some of the gates and towers surviving. The Saxon gate is particularly interesting, as is the moat that was made in the shape of a star. Zwolle is also a very green city with lots pf parks and tree lined streets. It has an excellent theatre and very good shopping and food. Archaeologists has found evidence that the municipality has had residents since the Bronze Age. The Romans also had settled and live in what is now the city. The city in its present form was settled around the year 800. It was given the name Zwolle in reference to the hill around which the city is built. This was important as the 4 rivers in the area were prone to flooding and so the higher ground was the best place to build. The town carried on and turned into a thriving community which was accorded the right to become a city in the early thirteenth century. The town was granted this status by the Bishop of Utrecht. Towards the end of the century the city joined the “Hanseatic League”. This was an association of guilds, towns and cities that were based along the north sea coast as far as the Baltic States. Its main purpose was the protection and diplomatic interests of its members. The city provided soldiers for the war between the League and Denmark in the mid 1300’s. This war ended after nearly a decade when a treaty was signed between the participants. In the 14th century the city was twice hit by fires. In the second fire, virtually every building was destroyed. In the 1400’s the city of Zwolle was a very prosperous place with good trading links which brought a great deal of wealth to the city and to the merchants who traded in it. In 1448 the beautiful town hall was built, though today it has a slightly strange frontage due to the modern concrete extension to the building. In the early 1500’s the church of Saint Michael was renovated and rebuilt. However in the late 1700’s the tower of the church fell down and without the money to repair it the council decided to sell the bells to the nearby city of Kampen. When the bells arrived however the residents of Kampen found that the bells had been damaged and were unplayable. But, as good as their word, the people paid for the bells, but with a huge amount of tiny denomination copper coins. Unabashed the residents of Zwolle counted every last coin and were thereafter known as “Bluefingers” because of the colour of their fingers after counting the number of coins. The city maintained a, relatively, quiet and prosperous life, making its way by its good trading links and local agriculture until the occupation by the Spanish during the Dutch War of Independence. It was also occupied later by the forces of Napoleon. In the early 20th century the city was thriving with large markets for both animals and fish and also other industries such as boat building cotton weaving and also an iron working factory. The last occupation by the Germans during the Second World War was ended when a single French Canadian soldier arrived in the city in April 1945. If you are travelling to Zwolle on the A28 from Groningen to Utrecht motorway there are 4 different exits depending on where in the city you are going. You can reach the A28 from the junction with the A50. Although there is a ring road, as with many old Dutch cities, it is not really a good idea to drive to your destination due to congestion and high parking fees. There is a good bus service around Zwolle and the neighbouring areas. It is much easier to travel with an ov-chippcaart where you prepay onto the card and this is then deducted whenever you travel. There is a good train service with trains running from Utrecht, The Hague, Groningen, Arnhemn and Deventer going directly to the city. 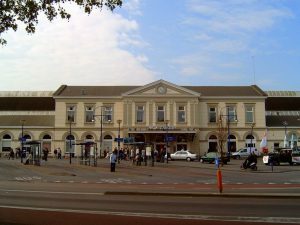 There is also a good connection to Amsterdam, with the journey taking just over an hour, but you will need to change at Amersfoort. 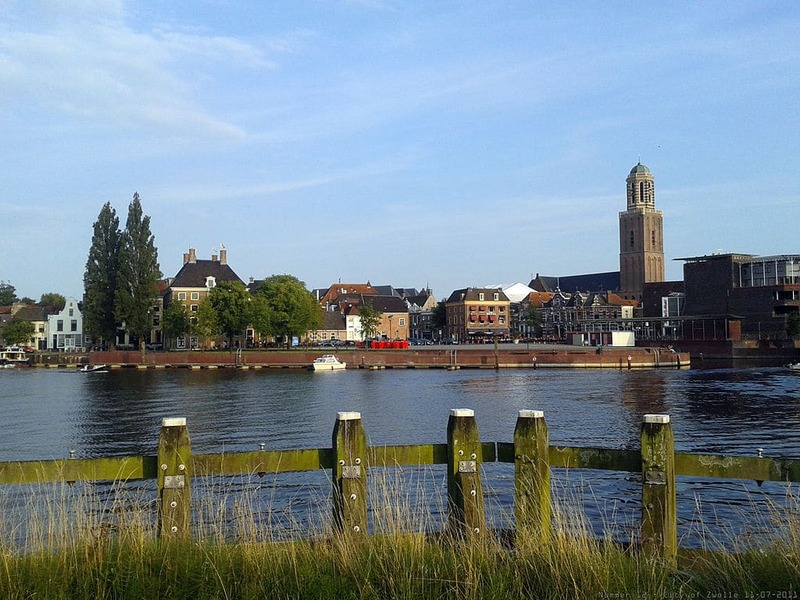 Zwolle has some great tourist sights and it is well worth the effort to visit this beautiful city. The church of Our Lady is a Catholic church that was built in the mid 1400’s and is very large for a Catholic church in the Netherlands. It was taken from its owners at the time of the reformation but was returned at the beginning of the 19th century. It is known as the Pepperpot because of the shape of its tower. The Stedelijk Museum has both an old and a new part to its building. In the new wing They have changing exhibitions and in the old part they have the permanent exhibits on varying subjects, many of which are to do with the local area from prehistoric times until the 1900’s. Vito’s is a great Italian restaurant with really good food and a great atmosphere. It is a really popular restaurant for the locals and is small but very comfortable. If you are on a budget you can get a fixed price menu, but there are always really good specials on, for a bit extra. If you are eating early, before 5, then there are just sandwiches. De Koperen Hoogte is actually 2 restaurants in an old converted water tower. One is at street level which is great and has really good food. But the other one is at the top in the old water container. It has really good food as well , but what separates it is the view. It has really good views over Zwolle and even better, the seating area moves around in a full circle, so you get a great view over the whole city. 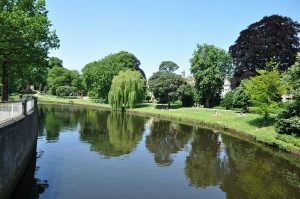 Zwolle is a great place to go at any time,the medieval part of the town is worth it alone, but there are many other attractions as well.